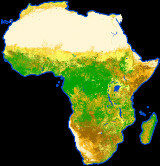 The Sentinel-2 Preparatory Symposium in April 2012 has shown how Sentinel-2, with the 5-day temporal revisit, will bring a significant breakthrough in the exploitation of spaceborne optical data, by transferring land cover, agriculture and forestry EO applications from image-based to pixel-based processing. Consequently, one of the major recommendations of the scientific community voiced at the symposium was to make available Sentinel-2 type time series and support the development of time series analysis in preparation for the exploitation of the Sentinel-2 mission. 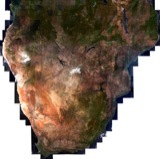 The 5-day temporal revisit of the Sentinel-2 satellites, when both units will be operated together, will lead Earth Observation community into a new era for time series analysis at high spatial resolutions. 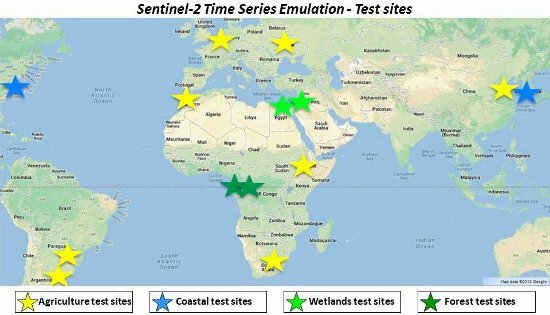 In order to prepare for the exploitation of Sentinel-2 type of time series, the European Space Agency in collaboration with CNES, USGS and BlackBridge, is collecting an unprecedented time series dataset with a 5-day revisit at high resolution derived from SPOT-4/5 (during their deorbiting phases in 2013 and 2015), Landsat-8 and RapidEye satellites over selected sites around the world. The call is co-funded by ESA and CNES and will cover more than 100 sites with observations at 5 days revisit cycle similar to the Sentinel-2 mission planned to be launched later this year. The start of this SPOT5-Take5 experiment is currently scheduled to start at the 8th of April for 5 months. The obtained time series of L1c and L2a products will be free and open available. * Time series are provided in the original data format of the respective data provider and do not intend to represent the Sentinel-2 data format.